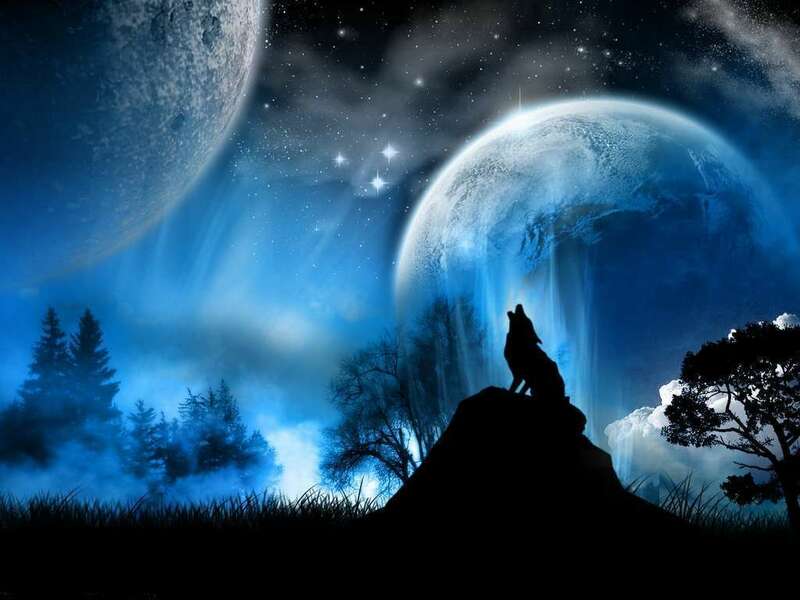 There are 19 posts in this thread, and it has been viewed 12144 times. Is King of Fighters '97 any good? 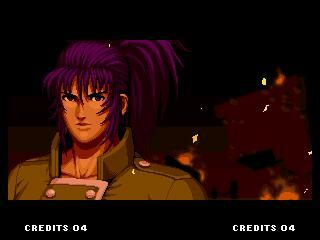 This is the fourth installment in the KOF series, and is the climax of the Orochi saga. This is also teh first appearances of the fan favorites Yashiro Nanakase, Chris, and Shermie, and includes some Real Bout characters too! 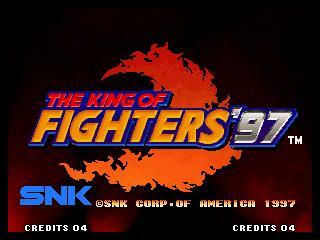 The King of Fighters '97 is a 1997 fighting game produced by SNK for the Neo Geo arcade and home console. It is the fourth game in The King of Fighters series. KOF '97 follows the same format as the previous KOF games, but introduces two distinct playing styles which the player can select before choosing their team: Advance and Extra. All of the characters from the previous game return, with the exception of the Boss Team (which was disbanded after its first appearance), Kasumi Todoh (who went off to search for her father), and Mature and Vice (who were killed by Iori Yagami after he was possessed by the Riot of Blood at the conclusion of the previous game). Game is pretty broken. And where is the stage music? 98 is much better. 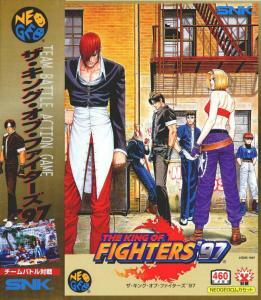 KoF 97 made vast Improvements over 96 with Extra Systems and the Appearances of the Orochi Team, Orochi Iori/Leona, and the Comic Relief Character Shingo Yabuki, all in all, the Opening is also Great, at least it finishes the Orochi Saga to continue in the Next Story: NESTS. 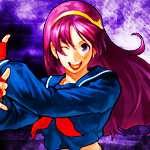 Other Issues are the Music: Its Character Specific (Kyo, Athena, Terry, Etc.) in this one. But its great nonetheless until the DreamMatch in '98. King of Fighters 97 is a good game, I Like the new advance gauge, I like it way better than KOF 96, Shermie is an awesome new character, and Blue Mary made her first appearance in the KOF scene. I've been a Blue Mary fan, I love her moveset. 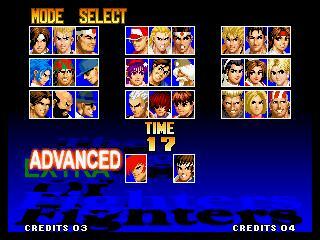 King of Fighters 97 is a great game, it worth playing this game. too bad there is so little of it. The Kyo+Iori+Chizuru ending is pretty kickass though, that I'll give it. The new feature of Advanced and Extra mode confused me at first play that I wasn't sure what to pick, but the Extra mode is merely predacessed from the earlier KOF games while the Advanced mode is a new feature. Already I miss the female voicing referee from the last game. The new characters of the Orochi team was anticipating. And now the former boss Chizuru Kagura takes Kasumi's place in the English Team, Ryuji Yamazaki and Blue Mary take Iori and Eiji's places in the USA team and finally Iori a lonely wolf besides Shingo. Blue Mary's new makeover from FF3 certainly takes my fancy. Many of the scenes seem to have a lot more people in the background watching the tournament than any of the previous games. I love the Japan stage out of all. Also the scenes are not subject to the teams as they were before, which gives the impression you can fight your opponents on a more scheduled tournament instead of a goose chase around the world. The game is fine for its kind but there are certain features left behind from its predacessors and others its sequels promise. I also feel that it is a great game and in MOST respects is a considerable step forward from '96 (overall gameplay tweaks, introduction of command normals, Extra & Advanced modes, great new character/team inclusions, better game direction etc). 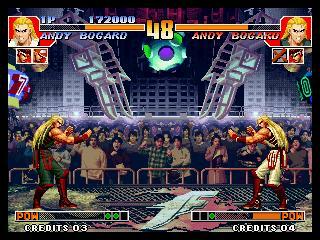 96: this game, imo, has - most probably - more style than any other KOF game ever made. This, as far as I'm concerned, is something that did not translate to 97. They went for a different approach again. 96, thus far, probably has the best stages and stage music in any KOF yet. 97 - being the 'next in line - was no doubt expected to exceed this standard, and in this respect (stages, OST etc) I don't believe it did. I do believe that 97 ACTUALLY has style in other ways and I think the introduction of Mary & Ryuji along with the Orochi team contribute greatly - not to mention the explosive conclusion to the Orochi Saga! The final fights you engage with the 'Orochi' Orochi team before facing Orochi himself (Orochi, yeah?) is nothing short of breathtaking... EPIC indeed. 98: basically, it can be argues that this game made 96 & 97 redundant. To be honest, I'd be 'near' inclined to agree BUT I still feel 96 & 97 have more style and appeal to them, especially from a 1P perspective. 98, even though it has all the characters and much improved gameplay etc just doesn't have the same 'KOF factor' as 96 or 97. Even though 98 is (overall) the best of the 3, there are still reasons to play 96 & 97 OVER it - in particular when playing by yourself. if I have seemingly gone off-tangent BUT I strongly feel that these '3' are very closely linked and I find it difficult to discuss one without giving good reference to it's closest 'brethren'. And there was 2 Hacks on this game, KoF '97 Plus (Which allows Everyone Playable, that includes Orochi, and Infinite Gauges.) the other is King of Gladiator, which is also a '97 hack, but its "Mature", not the character, but characters like Mai, Mary, and Sherimie show off their Body during certain moves, If you know what I mean. (or Pr0n), also in that version, Playable Orochi is heavily nerfed, Certain Chars have speed-up versions, Infinite Gauges, and you can't select your team order and the Orochi Blood (Alt. of Yashiro/Shermie/Chris) team. Aye funny one is KOF 97 cant put my finger on it but I never warmed to it as much as I did with 95 & 98 from that era. My first experience of playing it was the Jap PS1 version which I thought was ok but not as good as 95/98 on my NGCD. I actually want this on MVS but it never seems to come up much on ebay but I will give the game a little more time as its on my multicart. Its maybe unfair of me to give to much of a opinion as I have played it less than any other 90s KOF , I agree the game feels a little rushed/broken it does not seem to feel as fluid as the others mentioned. Liked the new team but not a fan of Shermie. One thing I do like about the game is the whole commercial/televised hype about the 97 tournament it gives it a unique feel like the world has been bitten by the KOF bug. to be honest the whole style of the game is pretty cool but I can name at least 5 KOFs I would rather play over this but as we all say no KOF games is bad all are good just some a better than others but all should be owned. I've never even played '97. From what I can tell, I am not missing much that '98 does not offer. No music? That'd freak me out. 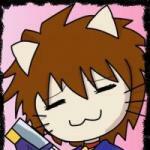 The KOF �97 HSC is now up and running, everyone are welcome to join in. Thanks. I must admit, when I said the above, I was being a totally ignorant chode. No wonder this is Ninja's favorite KOF. 1)The cut scenes were well animated and the story was very defined and involved. 2) The presentations, news flashes and even character portraits were vivid and added to the excitement. 3) The stages themselves were very vivid and alive. 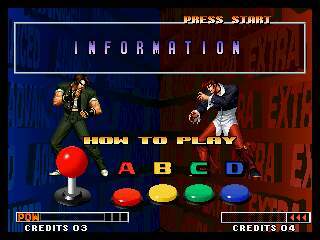 The colors were not dull and lifeless like so many KOF stages. 4)The lack of music in some instances actually added to the excitement and drama of each match. This was amplified by the crowd cheering in the back ground. The ring card girls were a nice addition, I thought that was awesome. 5) Orochi actually was not that hard to defeat , I came close to beating him the first time around actually. 6)The character move set was pretty good. I picked Kyo Terry and Ryo (my favorite team from any KOF) and I was able to just pick up '97 and playing like any other year. I must admit that as for as playing KOF with one player, this '97 year has to be the most enjoyable to me. Things might be different when it comes to playing 2P, but I doubt it. Thank you Ninja for convincing me to have a go at this game. After playing the game I have to agree with you on all points that you made. Summary: I enjoyed KOF '97 and it is definitely a total classic.